The only thing one can generally say about Lentz’ work, after 40+ years of composing and releasing material, is that there is no way to predict where his next release will go. Having first been exposed to his work with 1981’s After Images, a rousing collection of spiraling pieces for keyboards and multiple voices that sounded like nothing else I had ever heard, one can certainly say that In the Sea of Ionia is nothing like that, or any of the other early works in his catalog (Point Conception, Leopard Altar), but it’s no less unique. 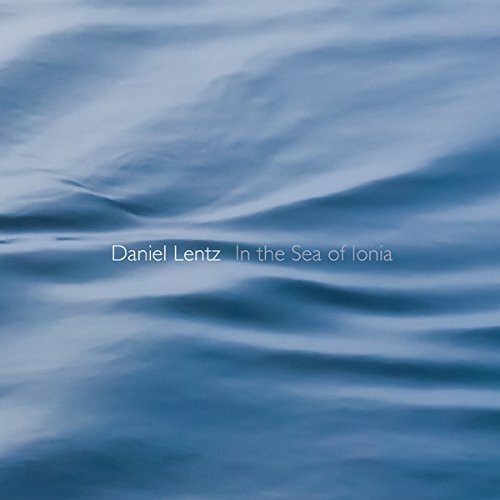 Here Lentz has collected four compositions of relatively recent vintage (2007-2014) which were written exclusively for piano, here played by Aron Kallay. The proceedings open with the 15 minute “51 Nocturnes,” a series of very short nocturnes, moving from one to the next without pauses, as a single continuous work. “Pacific Coast Highway” is the newest composition presented here, an ever-shifting polyrhythmic piece that evolves continuously over its seven minute duration, played by four layered piano parts, perhaps more textural than melodic, ebbing and flowing like the currents between rocks and tidal pools. “Dorchester Tropes” is a beautiful four-movement 22-minute suite for solo piano where ideas shift and turn constantly, full of powerful dynamic churn, yet always embracing the melodic. The second movement, “Ponkapoag Bog,” is a particularly interesting adventure, bordering on the chaotic at times. The closing title piece, another sidelong adventure, this time for half a dozen pianos and then some, and is probably the most daring piece here, building slowly in intensity as it goes, alternating back to placidity periodically, eventually reaching a manic pace near its end, constantly shifting and changing directions as it goes. There’s a lot here to absorb, but patience and repeated listens will reward.